| The overseas network of supporters of the Green Party of Aotearoa New Zealand. Green Party of Aotearoa New Zealand Co-Leader, James Shaw is visiting London this month, whilst in Europe for COP24 in Poland. Come down and touch base with what’s going on in Aotearoa, where James is also New Zealand’s Minister for Climate Change, Minister of Statistics, and Associate Minister of Finance. Grab your morning coffee (and maybe a bite to eat!) with James, chat about climate change, connect with some local kiwis, share your thoughts on the issues we are facing and hear about how things are progressing back home. Even if you can only pop in for 5 minutes on your way to work, we’d love to have you! Location to be announced (central London somewhere) shortly. Check in to the Facebook event for all the latest. Now the election dust has settled, it’s exciting and historic to have the Greens as part of a Labour-led government. For the first time ever, we have Green ministers and we’re looking forward to delivering progressive change for New Zealand over the next three years. Right now back in Aotearoa, the competition is on for the next female co-leader, between Julie-Anne Genter and Marama Davidson. And all international members can participate in this decision. Email Simon at simon.wood@greens.org.nz to find out how. Don’t forget to follow us on Facebook, Twitter and Instagram @nzgreensglobal to keep up to speed with everything that’s happening with the party around the world. There’s just one day to go before the New Zealand election. It feels like just yesterday we were sat in a North London pub in 2014, watching National win a third successive term. There were tears then for a missed opportunity and for all the people back home who would be disadvantaged in the next three years. We made a promise to ourselves on that day: next time would be different. We’ve kept our promise and built the biggest international political network New Zealand has ever seen. For our dedicated global team, the last three years has whizzed by in a flurry of activity. The Greens are the only New Zealand political party with an international presence. Our London branch was founded by James Shaw in 2008 with a vision and a couple of supporters. One decade later, we have volunteers in five continents and more than two dozen countries. No one knows quite how many Kiwis live overseas, although best estimates are that it’s somewhere between 500,000 and one million. But, last election, only 38,000 New Zealanders voted from outside New Zealand. This is a voice that is hugely underrepresented. The Greens are still the only party to try to engage with these voters. We believe the values, hopes and voices of overseas New Zealanders matter just as much as any other Kiwi. We believe they have a valuable perspective to offer New Zealand, and that their voices are worth listening to. International New Zealanders come in many shapes and sizes. There are economic migrants who have sought a better life for themselves in Australia. There’s the traditional OE crowd in London or North America. There are NGO employees, backpackers, digital natives, students, Kiwis chasing the snow, Kiwis chasing the sun, Kiwis following their heart and Kiwis living life day-by-day with no firm plans. We’re in all corners of the globe, doing all sorts of things. All of us are Kiwis who have built a life overseas- permanently or temporarily – while still caring deeply about Aotearoa. The Green Party understands this. We surveyed Kiwis overseas to find out what really mattered to them. The answers we got back from our Global Kōrero survey were illuminating. And they meshed with Green Party values: poverty, the environment, transport and housing are all issues we care about. Most respondents wanted New Zealand to be a place they could be proud to call home, and where friends and whānau living there could thrive. But a lot respondents simply hadn’t voted in the last election because they didn’t feel engaged, or didn’t know how. So we got to work building a comprehensive international network. For the first time ever, we set up an international campaign team with two volunteer coordinators (Megan in the Southern Hemisphere and Simon in the Northern Hemisphere) and a NZ liaison and creative director (Bryce). For the first time since James Shaw ran for parliament from London, we also had a dedicated international candidate (Bridget). Then we put the word out for international volunteers – and they poured in! We’ve had volunteers in traditional Kiwi destinations like the US, Canada, the UK, the Netherlands, Germany, France, Hong Kong and Australia. And we’ve also found supporters in more obscure places like Guernsey, Chile and Niue. We launched Kiwi Greens Global as a dedicated space for all volunteers, supporters or interested parties to chat and keep up to date with the NZ political scene. It’s across the web, with a presence on Facebook, Twitter and Instagram and a blog. We built a standalone campaign and volunteer recruitment website. Bridget Walsh spent the last six months travelling the world hosting pop-ups for Kiwis far and wide, helping Kiwis enrol and sharing our vision for Aotearoa. She engaged with local musicians and artists across the world to help build a global community of progressive Kiwis. Our London team visited COP21 in Paris to campaign for action on climate change and link up with activists from across the world. James Shaw visited London for a Q+A session to keep us up to date what was happening back home. We hosted a session on urban planning with expert Kiwis working in the UK on lessons to be learned from the London and New Zealand experiences. We welcomed Metiria Turei to the UK, where she meet Kiwi community leaders and hosted an open drop-in session to say hi to all London-based Kiwis. We even made the news back home. We popped up to Liverpool for the Global Greens conference and networked with Green Parties all over the world. We shared our knowledge on campaigning for international votes – it turns out we’re becoming a model for the rest of the world! We’ve run a series of profiles of our volunteers explaining why they’ve committed their time to the campaign. Our volunteers have been on the ground at Kiwi events like Waitangi Day and the Big Day Out in London. We’ve handed out flyers at Kiwi pubs before All Blacks and Black Ferns games all over the world. We’ve hung around queues when Kiwi bands come to town and stood outside Kiwi pubs. One of our team also spoke to football fans before All Whites games in Russia. That’s commitment! We’ve forged links with cultural groups, businesses and networks around the world, promoting Green values and community-building among international Kiwis. Our top lists candidates shared their messages for international Kiwis and lessons we can learn from overseas, as well as what makes NZ special. Bryce designed collateral and merchandise unique for the international team and campaign – T-shirts, lanyards, stickers and flyers and with a close connection to the brand team in Wellington, kept the graphic design looking sharp and on-brand. We got really adept at targeted online promotion and had a social media presence like never before. We produced a video to remind Kiwis overseas to vote, and show how easy it is. 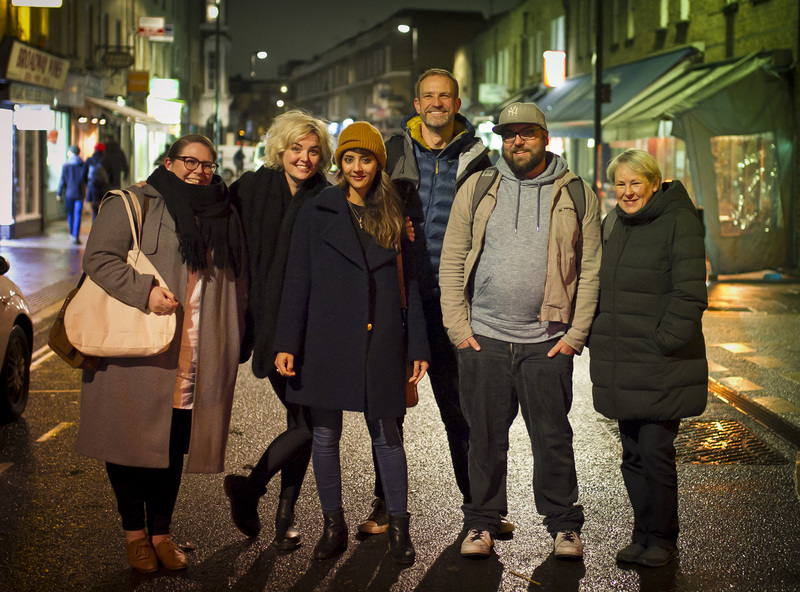 s This was a truly international piece as it had segments filmed both in the UK and New Zealand, and the volunteers involved in professional production and post-production came from Italian, Spanish, Argentinian and British backgrounds. Between different edits, it now has over 140,000 views across all platforms! We’ve door-knocked in a half-a-dozen cities across the world. We instigated a collaboration with MP Marama Davidson on a series of online Te Reo lessons for Londoners and we even roped her into sharing a waiata for international Kiwis from Waitangi. We’ve phoned almost 1000 Kiwis living abroad to ensure they know how to vote. Even today we were still having conversations with people who hadn’t voted. Our international team comes from a wide range of backgrounds. We are students, designers, campaigners, hospitality workers, musicians, IT people, dancers, netball players, health workers, journalists. We are mums and dads. Single and married. Pākehā, , Māori, Asian and Pasifika. Straight and gay. We come from poor backgrounds and rich backgrounds. Urban and rural. From the North Island and South Island. We are Aot earoa in microcosm. And we share a common goal to make our home the best it can possibly be. We want New Zealand to be a place we’re proud to call home. We want all our whānau in New Zealand to be able to thrive. Between us all, we’ve spent the last 18 months exploring every avenue for engaging international Kiwis. In 2014, we reckon we reached 6,000 international voters. This time around we think we’ve increased that ten-fold. More than 60,000 Kiwis all around the globe have heard our message. International votes will help change the government and put a Green heart in the middle of it. We will do things better. We can eliminate poverty in NZ. We can clean up our rivers. We can lead the world on climate justice. We made that promise to ourselves three years ago – no more crying over results. Let’s get out and get this done. Every international Kiwi we’ve meet has been warm and friendly and amazing. Now we’re asking you for one more favour. We need your vote. And your friend’s vote. Everyone’s vote! A vote for the Green Party is a vote for a government led by Jacinda Ardern supported by the Green party. We will make sure Labour prioritise your values. Because they’re our values too. If you haven’t voted from overseas already there’s still time to do so. Either pop into an international voting post (most close their doors around 4pm on Friday) or upload or fax your ballot paper to arrive in NZ no later than 7pm on Saturday 23rd New Zealand time. Party vote Green for a country you can be proud to call home, no matter where in the world you live. From Megan, Simon, Bryce, bridget and the entire Kiwi Greens Global volunteer team. In the run-up to the NZ election, we are profiling our Green Party candidates and sharing their messages with Kiwis around the world. Today we have a message from Teanau Tuiono, candidate for Manurewa and number 16 on our list. Political candidate number 16. I see this as an extension of the organising that I’ve been doing on social justice and environmental issues. Sorting out climate change is up there but so is eliminating poverty. I am from the Te Uriroroi hapū so protecting the Poroti springs would also feature. I would like to support the revitalisation of Pasifika languages from the realm countries as well. So many issues! I can’t pick one. I will do them all! There is a song by Trinity Roots called “Home, Land and Sea”, for me it encapsulates how I feel about Aotearoa on many levels. I like it because I feel that is neither nationalist or patriotic but instead asks us how we connect more deeply to this place we call home in more fundamental tones. I am definitely Iwi before I’m a Kiwi in that respect. Most of the world speaks more than one language. Learn te reo Māori. It grounds us to the place and history of Aotearoa it is a part of who we are. Paris, France – I lived there, I dig that city. Keep New Zealand Green for reals! Party Vote Green fam! Follow Teanau on Facebook here.